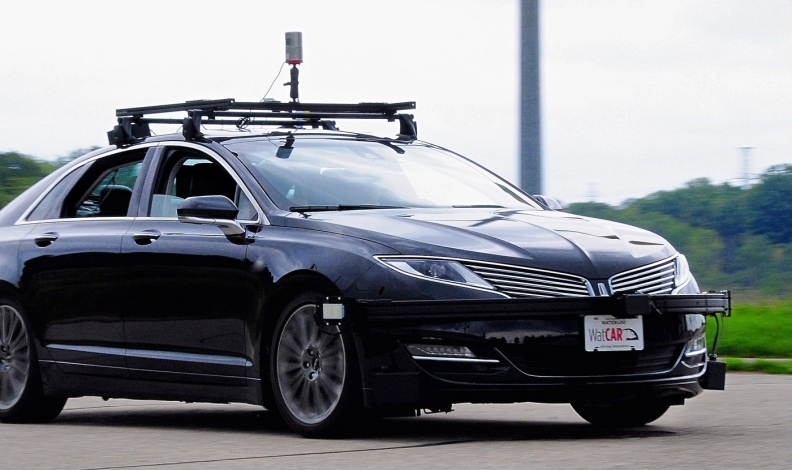 The Autonomoose is a driverless car being tested at the University of Waterloo. Delivery robots will be on city sidewalks somewhere in the United States within just a few weeks, says an industry insider, and they’ll be working in Canada next summer. That means fully autonomous vehicles on the road will follow. “They're parallel technologies,” says Paul Godsmark, Chief Technology officer for the Canadian Automated Vehicles Centre of Excellence. “The difference is that creating the technology for operating on public roads is really, really hard, while doing it for robots on the sidewalk is just really hard. Godsmark was speaking in Toronto at a conference on automated vehicles. He told participants that a recent comment from Google's principal engineer for its Waymo self-driving car project has him convinced Level 4 autonomous commercial vehicles will be on the road very soon, perhaps before the end of this year. “Nathaniel Fairfield was asked when the Waymo car would be ready to buy, and he said ‘soon.’ That’s an eight-year project, and if Google says soon, that probably means eight months. "When the ice-coolers-on-wheels (delivery robots) are ready to be released for autonomous driving on the sidewalks, it won't be long until the road-going technology is ready in some commercial form. This is all happening very fast." Transport Minister Marc Garneau also spoke at the conference and also warned that "driving is a complex task" and that autonomous vehicles must be able to drive under all weather conditions. He warned sensors on driverless vehicles could be blocked by ice and snow, and that lane markings and landscapes could be obscured. "Some experts say that full automation is more than a decade away because of the technical challenges that need to be resolved. Others say automated cars are just around the corner," Garneau said. "Either way, we need to get ready." The federal Liberal government's 2017 budget earmarks $76.7 millio over five years to enhance Transport Canada’s ability to regulate connected and autonomous vehicles and unmanned air vehicles.